Managing pain in pets can be very complex. 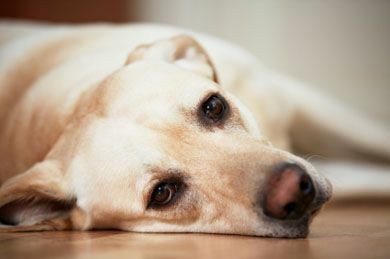 Vets are becoming increasingly aware of the importance of treating both the obvious and hidden symptoms of pain in animals. It can be very difficult for owners to recognize symptoms because many animals follow their natural instinct to hide pain. If you can tell your pet is suffering from pain but do not know the reason why, it may be time to enlist the professional help of our veterinary staff at Shores Animal Hospital in Gainesville, Florida. Because animals cannot communicate their pain level to you directly, it is important to observe your pet’s natural tendencies and recognize when they change their habits. These small, but significant changes are sometimes your pet’s only way to communicate their need for pain management. Animal pain is categorized as either acute or chronic. Acute pain is almost always due to a more obvious trauma or post-surgery. Our staff can offer short-term treatment options, issuing higher doses of pain medication to ensure your pet’s comfort in these cases. Chronic pain is typically due to joint disease or displacement, arthritis, chronic skin conditions and chronic internal issues. We offer a variety of treatments for chronic pain, including low-dosage pain medications, laser therapy and nutritional guidance. Our goal is to reduce, and hopefully eliminate, your pet’s pain and speed up their recovery to a healthy lifestyle. Contact our offices at Shores Animal Hospital with any questions regarding pain management for pets in Gainesville, Florida.